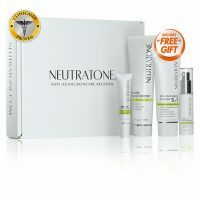 Increase your skin’s radiance and watch dark spots fade with Neutratone’s powerful Vitamin C skin brightening serum. This antioxidant-filled serum fights wrinkles and deeply hydrates while promoting a smoother, brighter, and more youthful complexion. Brightens skin while reducing dark spots. 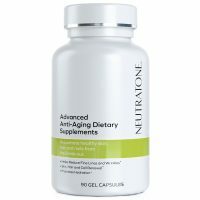 Stimulates collagen production for smooth, younger-looking skin. Hydrates and nourishes your skin. wow! I don't even know where to begin. First of all when I put this serum on the difference in the appearance of my skin is immediately noticeable. It works fast. Then A few weeks later I noticed a few very familiar dark spots that have been there all my life finally disappearing! I swear by this product and will be a customer forever. Probably my favorite product. I've used plenty of vitamin C serums but something about the texture of this I really LOVE. 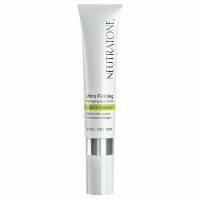 The product works wonders without being oily and the price is pretty good compared to others. Very happy with this product. 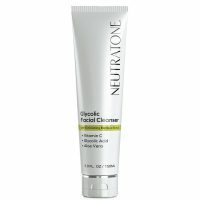 I purchased it with Neutratone's Glycolic Facial Cleanser. I saw a celebrity on Instagram promoting it so I thought I'd try it. They actually work very nicely together. My skin seems more even, dark spots seem to have faded, but overall my skins softer, brighter. Very surprised, first time I responded so well to a skincare product. Bravo! Say goodbye to dullness and dark spots with Neutratone Vitamin C Skin Brightener, Step 2 of the Neutratone total skincare solution. A potent blend of age-defying vitamins and anti-aging ingredients, this serum targets the classic signs of age: wrinkles, age spots, and dull skin tone. Vitamin C and antioxidants combine to fade dark spots and brighten your over-all complexion while simultaneously reducing the appearance of fine lines and wrinkles. Hyaluronic Acid, a powerful moisturizer, restores hydration and also encourages collagen production for plump, youthful skin. Your face is left feeling softer and smoother and looking radiant. Brightens skin and diminishes dark spots. Powerful antioxidants fight free radicals for wrinkle prevention. 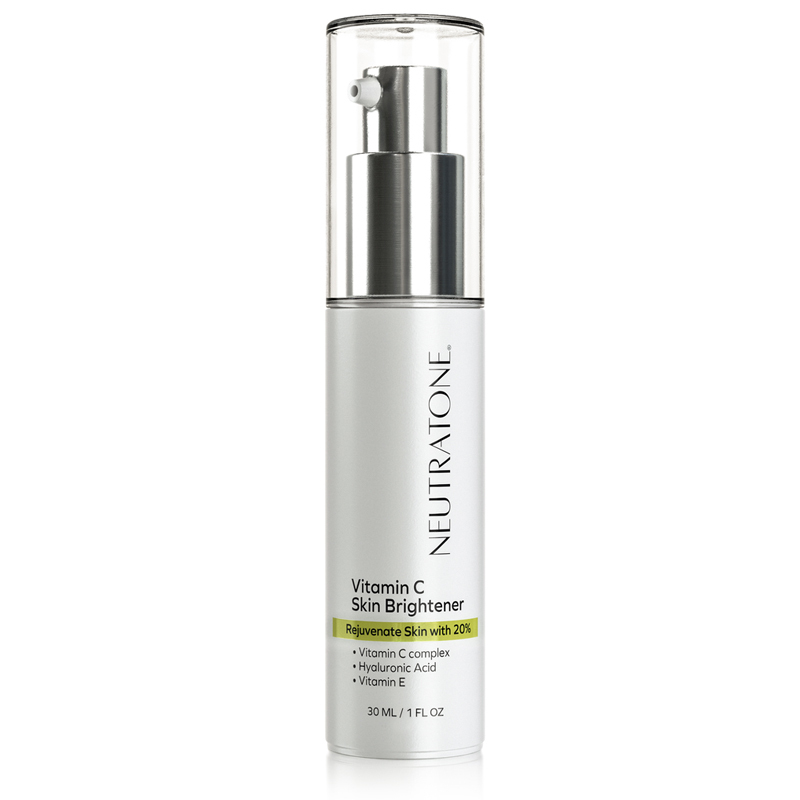 Repair, hydrate, and brighten your complexion with Neutratone Vitamin C Skin Brightener. Applied over the face and neck after cleansing with Neutratone’s Glycolactic Facial Cleanser with Bamboo Scrub, this serum employs active ingredients to decrease fine lines, wrinkles, and age spots. Regular use of this anti-aging, antioxidant serum will help prevent the appearance of future wrinkles. 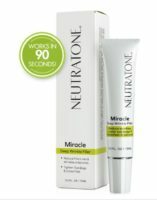 Use of this serum, as supported by Neutratone reviews, promotes softer, fuller, younger-looking skin. You’ll discover deep hydration as you smooth this age-defying brightening serum over your face and neck in the morning and evening. 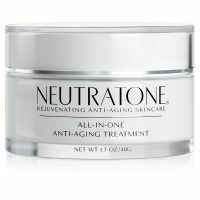 Your skin will be fully prepared for Step 3 of the regimen: Neutratone’s Ultra Anti-Aging Complex 5-in-1. Apply evenly over face and neck after cleansing with Glycolactic Facial Cleanser with Bamboo Scrub. Allow serum to dry 10-15 seconds. Repeat twice daily: morning and evening. 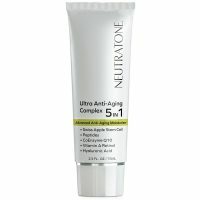 Follow with Neutratone’s Ultra Anti-Aging Complex 5-in-1.